The 2019 calendar for the FIA European Rallycross Championship has been revealed today (25 October), with the series’ enduring popularity reflected in an expanded schedule for the headlining Supercar class and a standalone event at Germany’s historic Estering. The FIA European Rallycross Championship for Supercar and FIA European Rallycross Championship for Super1600 will each take place over six rounds next year – five of them in support of the FIA World Rallycross Championship presented by Monster Energy. Euro RX Supercar will kick-start its season in Britain at Silverstone’s Speedmachine Festival in May, before calling into legendary Scandinavian venues Hell (Norway) and Höljes (Sweden). Next up will be the standalone German event in Buxtehude – with the oldest track on the calendar preserving the series’ proud traditions – followed by Lohéac in France and Riga in Latvia, as the campaign concludes at the state-of-the-art Biķernieki National Sports Base in September. 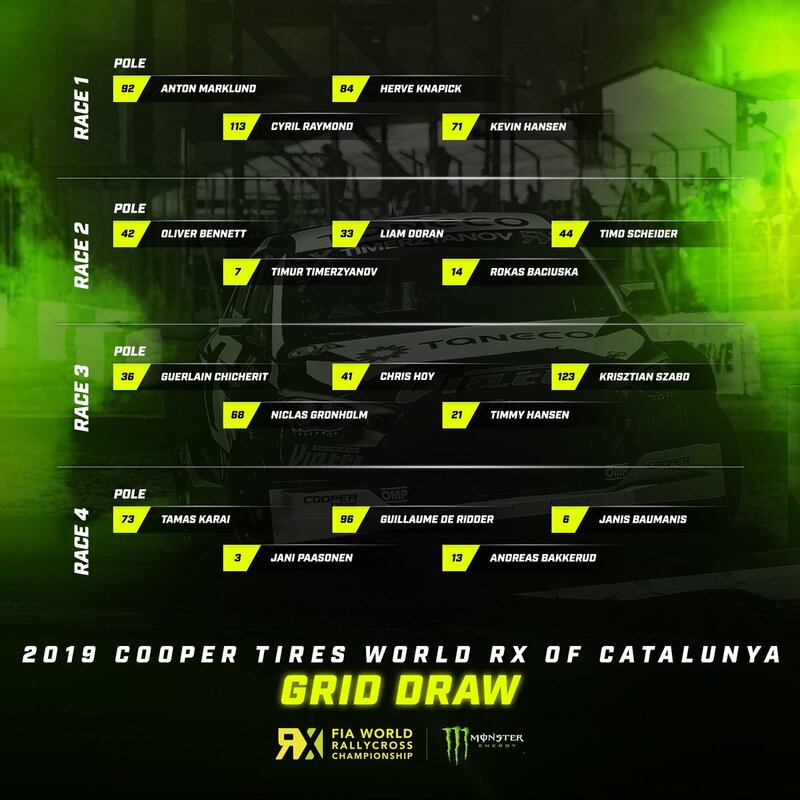 Super1600 similarly boasts a six-event schedule, beginning at the iconic Circuit de Barcelona-Catalunya before moving on to Spa-Francorchamps in Belgium – an eagerly-anticipated new addition to the World RX calendar – Höljes, Buxtehude, Lohéac and Riga.